From writing about the futuristic myths of Lan Xang to haikus about UXOs dropped in Laos, Bryan Thao Worra has written hundreds of works from books including On The Other Side Of The Eye, Touching Detonations, Winter Ink, Barrow and The Tuk Tuk Diaries: My Dinner With Cluster Bombs. Now, let’s get a quick glimpse into the life of zany writer, Bryan Thao Worra. 1. So, Bryan Thao Worra. Such an honorable sounding name. Care to tell us how Thao Bryan came to be the Worra? My life’s a bit of an open book. The roots go back to the beginning of the cosmos depending on how you want to read it, but more recently, in 1973 I’d been adopted by an American pilot and his family whose grandparents had come to the US from Norway. One of the many sons of Ole, the family was renamed at Ellis Island as Worra, a transliteration of a small village they’re said to have come from, although I’ve yet to find it on a map. Interestingly, you can find the city of Worra in Nigeria in the Nassarawa province, and another city called Worra in Burma. But then again, Worra was also the leader of the flying monkeys in the Russian translation of the Wizard of Oz and the name of womp rat in Star Wars. So, make of that what you will. 2. You’re an award-winning writer with over 20 years of experience in this field. What keeps you ticking and what keeps your pen from dying out of creativity? figure) Some say a picture is worth a thousand words, and others a word is worth a thousand pictures, but in either case, a human should have lots of pictures to paint. Lao tradition suggests we’ll be coming around many more times again in the future, but just in case you don’t, you should say what you have to say in this lifetime, and try to say it well. Or, if not well, interestingly. And barring that, in a funny voice. If you can keep a smile and a good laugh throughout much of your lifetime, you’ll be ahead of the pack. 3. 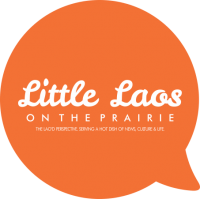 How does being Lao American play into your craft? Good, bad, indifferent? There are many different theories about how it should play into one’s life. Being Lao American is a key axis to understanding much of my work, although it’s not the only one. It’s not something a Lao American writer can escape. It’s more of a question of varying degrees of overtness in any given piece. That was nearly a century ago, but much of what Hughes wrote resonates today among many communities and cultures. Over time, I hope many others find that there are in fact many different ways to be Lao and that a strength of our community is our ability to embrace many different and diverse ways of thinking and approaching the world yet still identifying as Lao without lockstep dogma. Many folks are discussing the Darwin quote of late “It is not the strongest of the species that survives, nor the most intelligent that survives. It is the one that is the most adaptable to change.” And while Social Darwinism is an odious thing, there is wisdom in the idea that for us to embrace adaptability is to gain strength. I would contend that the great golden age of the Lao has not yet been reached, nor is it here, but with concentrated effort and good intention, we all can usher that era in, wherein we might become a people capable of reaching the stars, transforming souls and worlds, and hopefully for the better, more often than not. 4. Which mantra do you believe in: art for art’s sake or art for life’s sake? 5. If you had 1 minute to convince a room full of Lao Americans the benefits of writing, what would you say? If you cannot express your world, you cannot change your world. If you cannot express a future, you will have no future. If you cannot express your past, you will have nothing to pass on to your children, and they will be taught by strangers who have no stake in preserving any memory of who you are, who you were, and who you might become. For over 600 years, the children of Lan Xang and Laos thought there was something worth passing forward from one generation to the next, a dream of being a people of common customs and worthy values. Many even thought highly enough of that dream to die for it. You don’t have to write everything, but every word you write for good is a chance for change, and an expression of the best part of what we might become. If you use that voice for evil, selfishness, or do not use it at all, you squander the true treasure, the true legacy of the Lao and all who journeyed on our roads with us.